Leonardo DiCaprio is the latest big name to back an electric-car racing association meant to merge the interests of NASCAR fans and the environmentally concerned. DiCaprio has entered the fray in a combined effort with Monaco-based Venturi Automobiles. 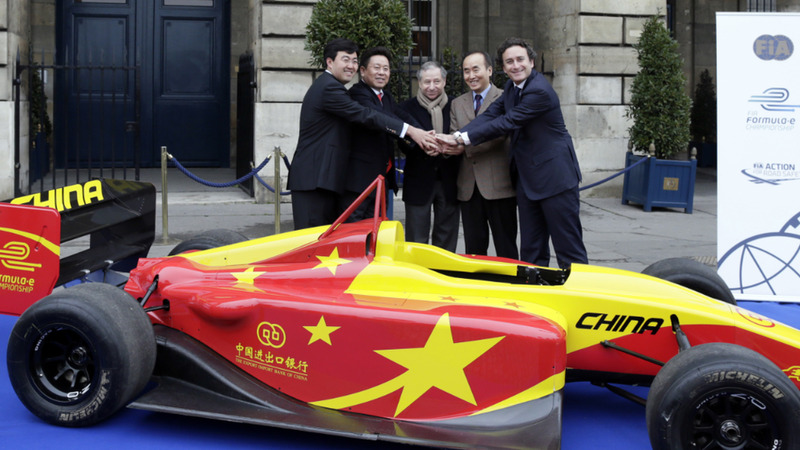 Together, they’re backing the 10th team that will participate in the first season of the Formula E car-racing championship. Richard Branson’s Virgin Racing team will also participate, as will as entrants from Audi and Andretti Autosport. clean energy cars are key to our planet’s future. Proud to be part VenturiCars first FormulaE Grand Prix team. While DiCaprio and others may see Formula E as a way to help integrate electric cars into the mainstream, the association is not just a do-gooder publicity stunt. It’s organized and sanctioned by the Fédération Internationale de l’Automobile, which also oversees Formula 1 and the World Rally Championship. There’s another cool twist: Instead of taking place on the oval tracks that American race fans are accustomed to seeing, all Formula E races will take place on temporary street courses. Forumla E’s inaugural season will begin September 2014 and continue until June 2015. It will consist of 10 races scattered across the globe. The first race is scheduled for Sept. 13, 2014 in Beijing. Subsequent races will take place in Putrajaya, Malaysia; Rio de Janeiro; Punta del Este, Uruguay; Buenos Aires; Los Angeles; Miami; Monte Carlo and Berlin. The season’s final competition will be on June 27, 2015 in London.